Bottle Gourd or Lau as it is known in Bangladesh can be found in your local Asian grocery store. It has many names depending on which country it’s from such as Opo squash, Calabash, Hulu, Bak, etc. It has a light green skin and white flesh. To prepare the Lau for cooking in this curry you must peel the skin off using a regular potato peeler and then cut it into 1/2 inch chunks. 1. Drain the water from the soaked daal. Boil the daal with enough water to cover, plus 1/2 inch more for 30 mins. (The daal should be soft not but falling apart). 2. Meanwhile in another pan heat the oil and fry the onions until soft. 3. Add the ginger and garlic and fry for 2 mins. 4. Add the spices and salt and fry for 2 mins. Then add tomato and tomato paste and fry for 2 mins. (If it starts to stick add a little warm water). 5. Add the hot water and bring to a boil and then add the cut lau. Cover and simmer for 20 mins or until lau is soft. 6. Add the channa daal with the water and simmer for about 10 mins. 7. 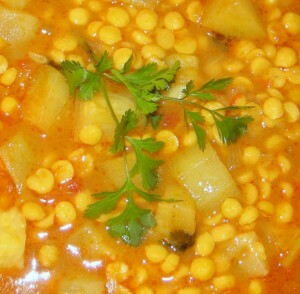 Once daal is done sprinkle with chopped coriander and serve. Recommendations: Serve with white or brown rice or with naan bread. 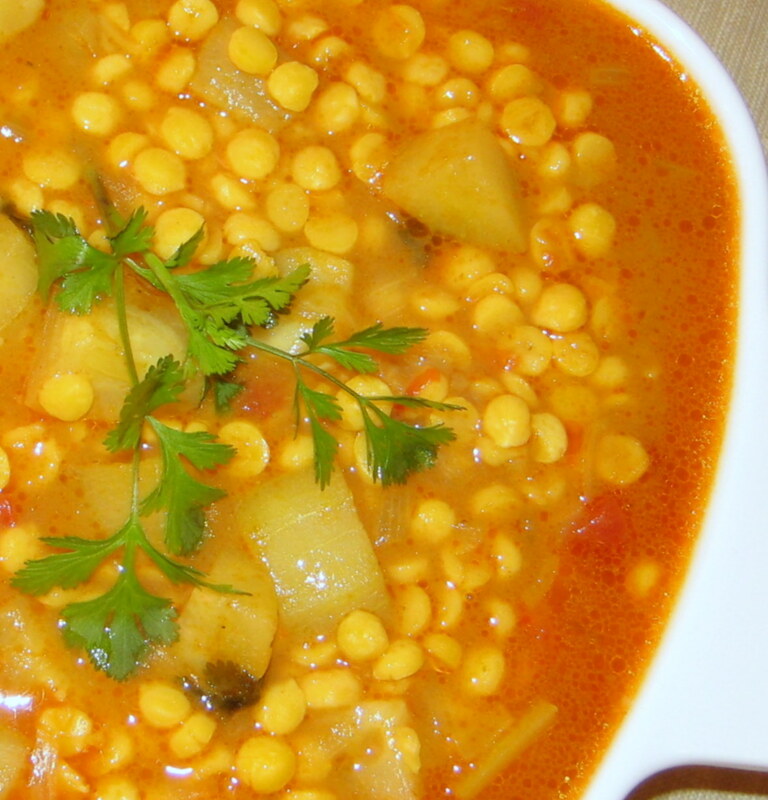 For extra flavor serve with slices of lime so that you can squeeze the juice onto the daal. can i use boiled chick peas thats sold in can ?.. please reply thanks ..